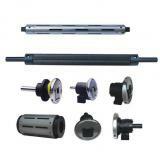 It is applied mainly to wind shaft, or unwind shaft in special occasions. 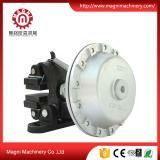 The body is made from chrome-plate steel or hard anodized aluminum. 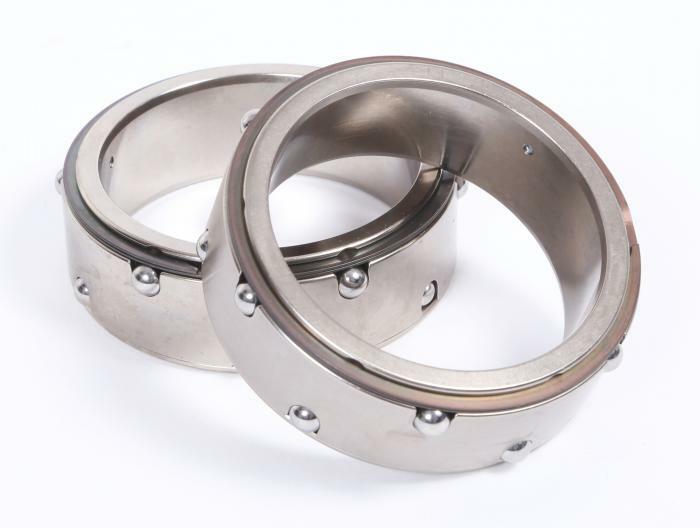 The friction plate can be made from polyurethane, polyethylene, or rubber to max tension required. 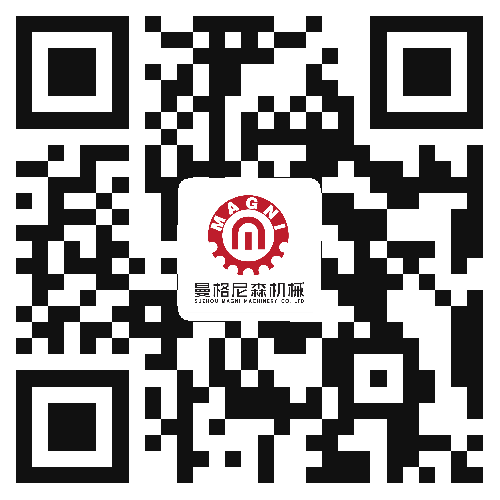 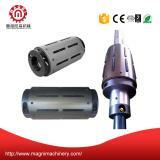 To meet our customers’ special requirements, according to the drawing, we can make steel shaft head with different sizes. 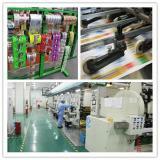 Difference in material thickness often arises when unwinding plastic films or other material. 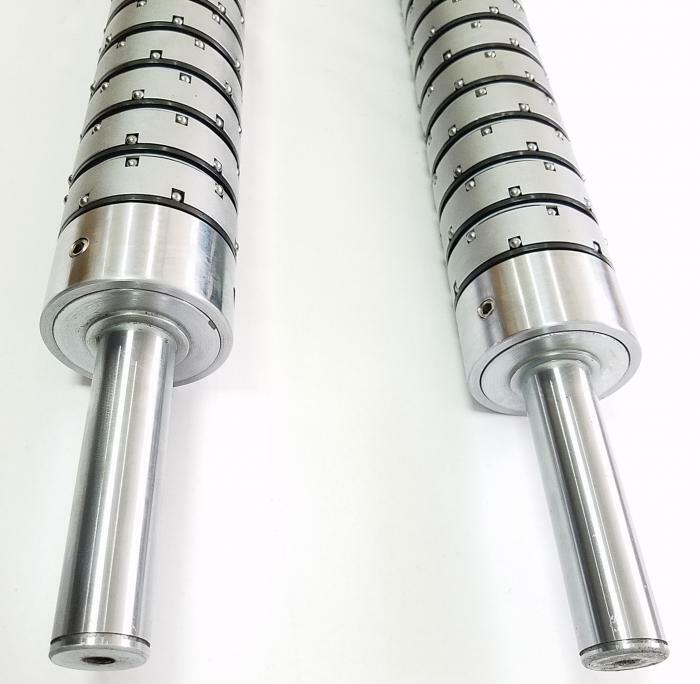 In the process of constant winding, this difference can lead to obvious discrepancy in outside diameter of roll, and slight discrepancy in winding torque under this situation. 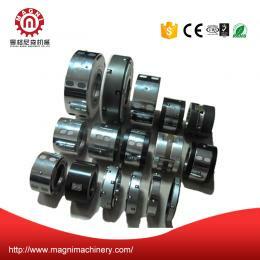 After some winding rotation, some rolls may become very tight, and meanwhile, some other rolls may start to loosen, leasing to quality decline in product eventually. 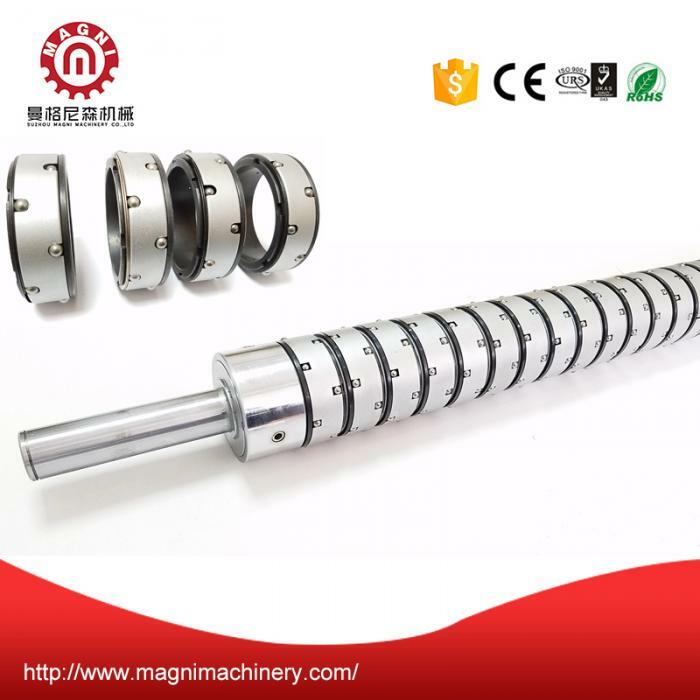 Our differential air shaft with slipping friction can ensure the highest winding quality, and by keeping proper tension on all rolls throughout the winding operation, materials will not show any problem. 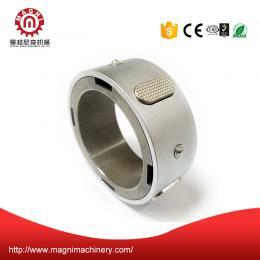 It works under the theory that friction rings slip constantly in center of air shaft, and to keep same tension, some rings slip faster than others. 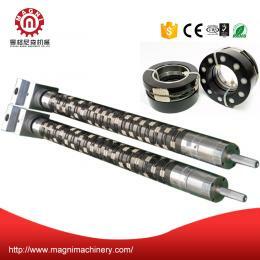 So tension of each roll can be controlled accurately, and permanent tension can also be gained to guarantee the quality of roll. 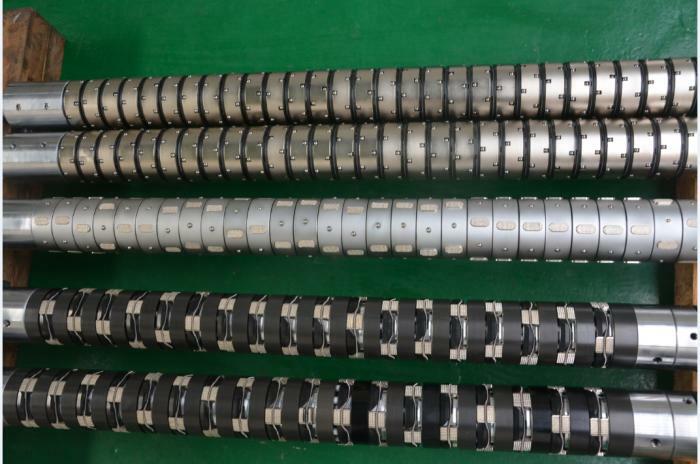 According to different roll diameters, to control air pressure of air bag and to guarantee tension, a constant air pressure source kept by rotary joint is required.